Mobile devices continue to embed themselves into our daily lives and businesses across all industries. We are witnessing a fundamental shift in the way our audiences consume and connect with their marketing or branding campaigns. From leveraging the power of intent to knowing how to win micro-moments, modern businesses must be ready to market effectively in the mobile age. Do you know about the power of ZMOT? More people are moving away from the desktops and onto their tablets or mobile phones. Due to technology, consumer interactions have changed in length, size, scope, function, and even method of delivery. 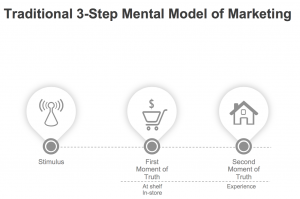 Witnessing this, Google commissioned a study that discovered a new nuance to consumer behavior: the Zero Moment of Truth. Google’s study found that consumers are putting more thought into their purchasing decisions than ever. Shaped by technology and easy access to information provided by the Internet, the study identified a ‘pre-shopping’ phase called the ‘Zero Moment of Truth’ or ZMOT. With more than 2.3 billion people on mobile devices, the importance of consumer searches and ZMOT continues to grow. Consider, for example, that Google answers more than 1 billion queries every month. Depending on your industry, and your SEO marketing strategy, each of those searches represents an opportunity for your business to reach consumers while they’re the most engaged. The ubiquity of smartphones means that ZMOT is no longer relegated to a single, segregated moment in time. Instead, searches play an essential role in an increasing number of ‘micro-moments’ influencing consumer decisions. According to Google, micro-moments occur when consumers reflexively turn to their mobile device because they need something. Micro-moments occur when intent and information combine to shape preferences consumers develop and decisions they make. ZMOT and micro-moments aren’t relegated to Western consumers either. 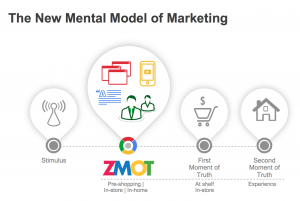 According to follow-up research conducted by Google after the discovery of ZMOT, this pattern of thoughtful consumer behavior was discovered to be a global phenomenon. As intent shapes consumer’s experiences of a brand online and off, monitoring intent through universal rank types allows cannabis companies to determine which content, delivered in what way, will work for a specific aspect of their keyword strategy. Through content augmentation, your digital marketing agency can uncover which mediums you should be incorporating into your landing pages, based on the intent of your audience. As MaJor Group founding member and digital marketer extraordinaire, Laura Beatty explained in an industry webinar, incorporating intent is one of the best ways for your cannabis brand to keep winning micro-moments. The contemporary development of legal, regulated cannabis markets means it’s up to leaders in ancillary spaces to leverage their expertise. In order to succeed, cannabis business needs a targeted, dynamic, and flexible marketing strategy to connect your brand with your audience in small but significant ways. Figuring out how to win micro-moments is easier with an experienced marketing agency, but it all starts with research. When you started working with a marijuana marketing agency, you should have honed in on the value your product or brand adds to your customer’s life. Why should consumers choose your product, service, or brand? What does your organization stand for? What do you value? Asking and answering these questions is an important exercise for any business, but particularly in the relatively new and unnavigated charts of the cannabis industry. In addition to answering these questions, you should also try to figure out what moments your customers are likely to act on a need related to your service, product, or brand. By using search queries and developing an associated keyword strategy, your marijuana marketing agency can identify moments that matter to your customers and act on them across your entire online and social media marketing strategy. Be honest: Are you there when your customers need you? Once again, to take full advantage of this next mobile SEO tactic and actually win micro-moments, you must know what audience you’re appealing to. If your goal as a cannabis entrepreneur is to establish yourself as your customers’ preferred brand or as a service that can improve the lives of your customers, your online presence must do so as well. As research proves, more purchase-driving micro-moments (and more moments in general) are happening on tablets or smartphones. Google Analytics and other platforms allow you to monitor how people are accessing your website, how long they’re staying and a host of valuable metadata about your audience. Working with a marijuana marketing agency is the surest way to effectively harness Google analytics information, especially when it comes to developing a dynamic mobile SEO strategy. Bear in mind that as cannabis is still federally prohibited, there are limitations on how cannabis companies can advertise. Implementing a high-quality, keyword-rich content strategy will help support all of your digital marketing endeavors. As most states begin establishing and regulating their own cannabis markets, it is the cannabis brands that commit to zeroing in on ZMOT who stand to gain a competitive edge. For businesses in the budding cannabis industry, this is even more imperative as the icons of tomorrow are still getting shaped by marketing strategies implemented today. Our marijuana SEO company is more than just a marijuana marketing agency; we’re a team of passionate multi-channel experts with the skills and network you need to win micro-moments and MaJor Ignite your brand.